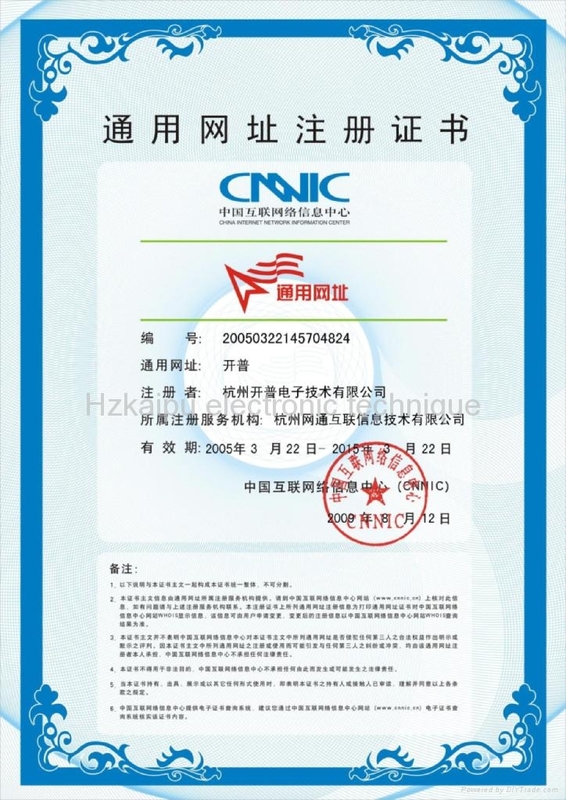 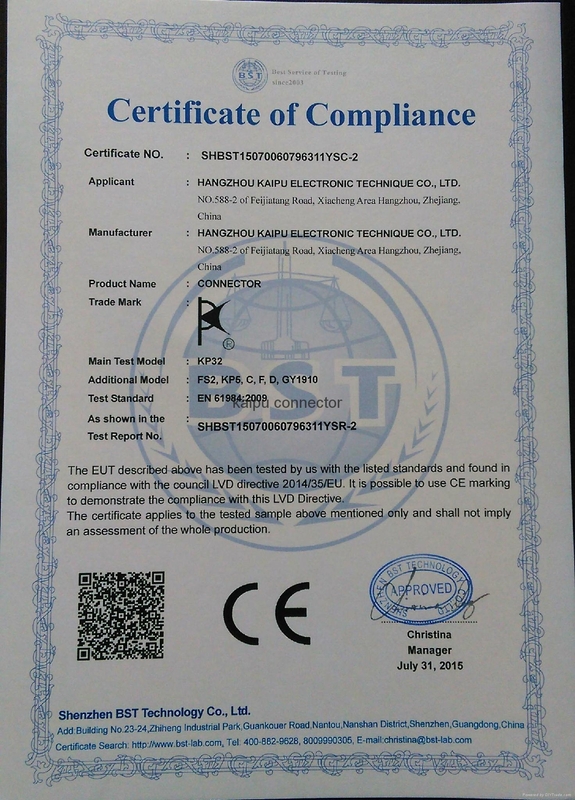 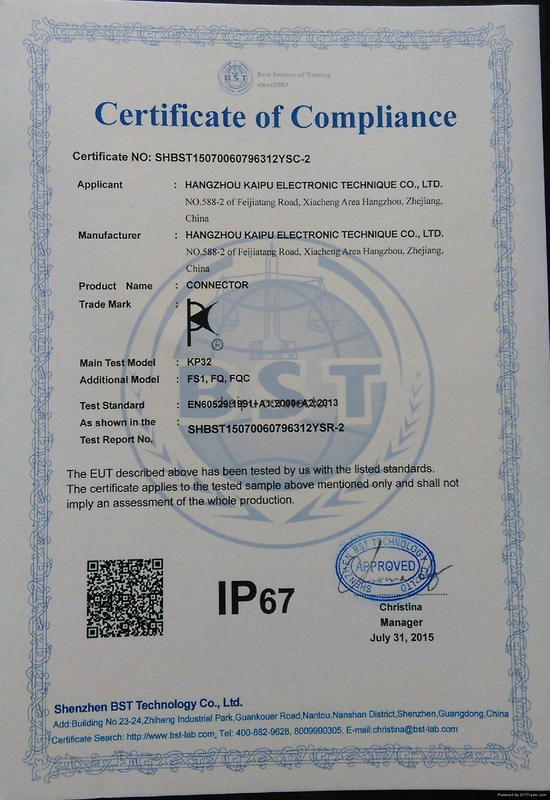 CE certification - Hangzhou Kaipu Electronic Technique Co.,Ltd. 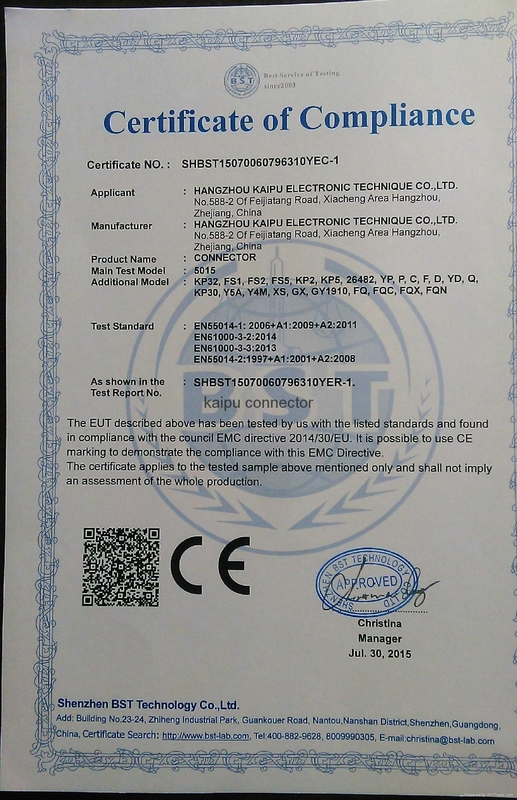 Kaipu CE certificate of EMC. 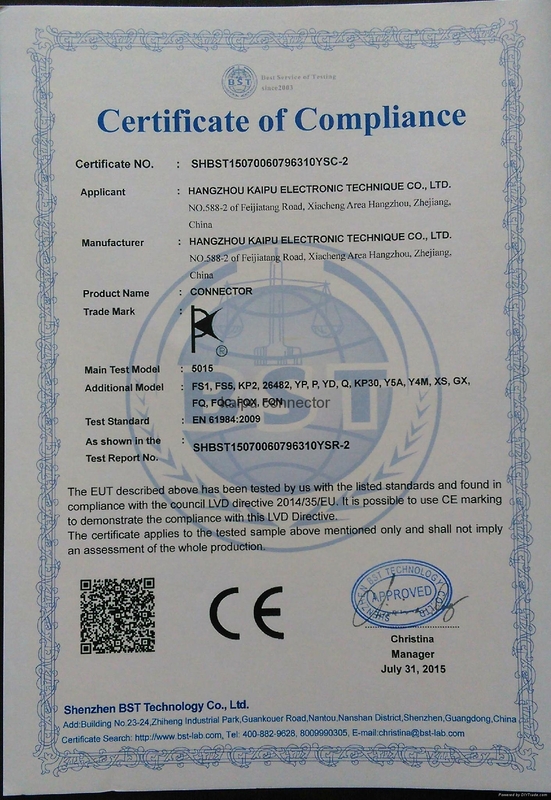 Connector type:KP32,FS1,FS2,FS5,KP2,KP5,26482,YP,P,C,F,D,YD,Q,KP30,Y5A,Y4M,XS,GX,GY1910, FQ,FQC,FQX,FQN,MIL-5015.According following standard: EN550014-1:2006+A1:2009+A2:2011,EN55014-2:1997+A1:2001+A2:2008;EN61000-3-2:2014, EN6100-3-3:2013.
kaipu connector:KP32,FS1,FQ,FQC passed the test of IP67.